Get ready to travel back to a time when Paris was the muse for some of the most genius literary minds. Draw inspiration from the Left Bank’s quaint streets, café terraces, and romantic hum of Parisian life just like your idols did back in the day. 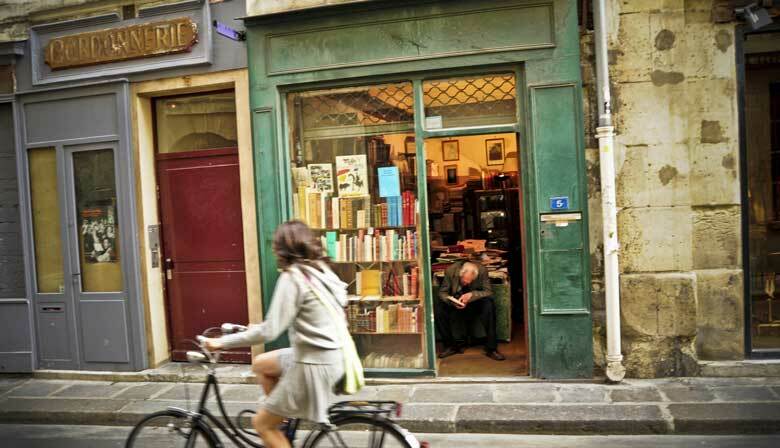 You’re in for a treat because the Latin Quarter and St Germain district in Paris haven’t changed much at all, providing a glimpse into the glory days of great literature. Who better to guide you than one of our passionate French literary experts? They’ve taken the time to seek out those mythic spots where the pulse of these geniuses still beats on. Turn back a few pages in history and revisit some of the literary VIPs who left their mark on Paris: the Romantics of the 19th century, the Lost Generation between the World Wars, and the Beat Generation of the ‘50s and ‘60s to name a few. Complete the experience with a free coffee break in a typical Left Bank café, offering a chance to chat with your knowledgeable guide and share great novel recommendations. Keep your wallet in your pocket—this caffeine boost is on us! You will meet the guide outside the legendary Café de Flore, located in the neighborhood of Saint Germain-des-Prés. You will walk in the direction of the Left bank where the intellectual personalities of the Lost Generation used to meet each other, such as Gertrude Stein, Ernest Hemingway or F. Scott Fitzgerald. Then you will visit the Hotel where Oscar Wilde died and you will stroll through the quaint cobbled streets of St Germain in Paris. Your guide will show you the places where Benjamin Franklin and Voltaire liked to have philosophical debates. You will keep on rambling towards the Odéon and discover where Silvia Beach created The Shakespeare Company which became a legendary bookstore and an artistic heaven. You will pass by the world-known La Sorbonne University where Sartre taught existentialist philosophy. You will explore the Latin Quarter with the Panthéon which houses the tombs of Victor Hugo, Dumas and Voltaire. Behind this monument you will see the preferred places of Hemingway and Joyce that inspired the famous Woody Allen movie “Midnight in Paris”. The tour will end by visiting the stunning Shakespeare and Company bookshop. This ancient medieval monastery contains numerous English-language books. Your guide will tell you about the amazing history of the place. You will experience a great moment upstairs by discovering a captivating literary atmosphere. You will receive the booking confirmation of your tour by e-mail, as well as a voucher. Print the voucher and present it to our guide in front of the Café de Flore. Your guide will be wearing a special badge with the "Localers" logo, you can't miss it! Excellent, in depth extensive walking tour. Amazing journey through literary and artistic St Germain! Guide was very interesting and knowledgeable. We had so much fun on our tour - really interesting and informative and gave a real taste of more local French culture as well! Tour guide was so friendly and accomodating - can't recommend highly enough! Guide had a lot of knowledge of literary Paris. Thoroughly enjoyed it. This was such an interesting tour. Seeing the places writers lived and worked and socialized helps flesh them out and adds much more to their work. My guide was very knowledgeable and very easy to talk with. I was the only person on this tour and I so appreciate that the company will not cancel a tour if only one person signs up. More people should take this tour regardless of your knowledge of literature. It is a fascinating look into history.